You are here: Home / Disney Star And Celebrity News / Young Cowboy Rick Elliot Proves Classic Country Music Is Still Alive! Young Cowboy Rick Elliot Proves Classic Country Music Is Still Alive! The eighteen-year-old country cowboy, Rick Elliot is debuting his signature country sound to the world with his enchanting voice. “West of the Rockies” marks the first single off his forthcoming EP due out later this year. “West of the Rockies” is now available for download on iTunes. Benevolently opening “West of the Rockies” with seductive strings and a hypnotic beat, Rick Elliot sings, “some people call me an outlaw, I am a free living man, I am a modern day cowboy, trying to live off the land”, which encompasses the entire persona of Rick Elliot and his musical being. You can look for the honest grit in his voice that is advanced well beyond his years and striking lyrical content of timeless country themes. With a deep voice that is uncompromising, Elliot sings of love, booze and living off the land in the spirit of a true modern-day country artist. Penned by the cowboy himself, the track is the outcome of being holed up with a broken leg with nothing to do but write. Elliot says the track is, “about the West and the struggles of living like a modern day cowboy. It makes the statement that we are rebelling against mainstream country and the ‘Nashville Rash’.” The track was produced by Oingo Boingo member John Avila (Mariachi El Bronx, Lukas Nelson & Promise of the Real) and recorded in San Gabriel at Avila’s Brando’s Paradise. Final touches came from the mastering sensation Gavin Lurssen (T Bone Burnett, Foo Fighters/Sonic Highways). Rick Elliot is in a fight to prove old school country music still exists, but in a more modern sound. Giving a nod to his country music heroes like Willie Nelson and Merle Haggard; Elliot is merging those traditional country music roots with his own. Drawn to the piano as a child, Rick Elliot started his journey as an emerging musician with the black and white keys. With his curiosity bellowing from there, Elliot quickly grasped the fundamentals and advanced into a young child prodigy. It was only a matter of time until he was introduced to the country greats and his passion intensified, as he experimented with songwriting. As a multi-instrumentalist, Elliot has also leant his piano and guitar skills to all the tracks on his upcoming releases. 2015 marks a monumental moment in Rick Elliot’s journey as he prepares to unveil his unparalleled sound with “West of the Rockies.” Mature well beyond his years, Rick Elliot has shared the stage with The Marshall Tucker Band as well as his idol’s son, Lukas Nelson & Promise of the Real. 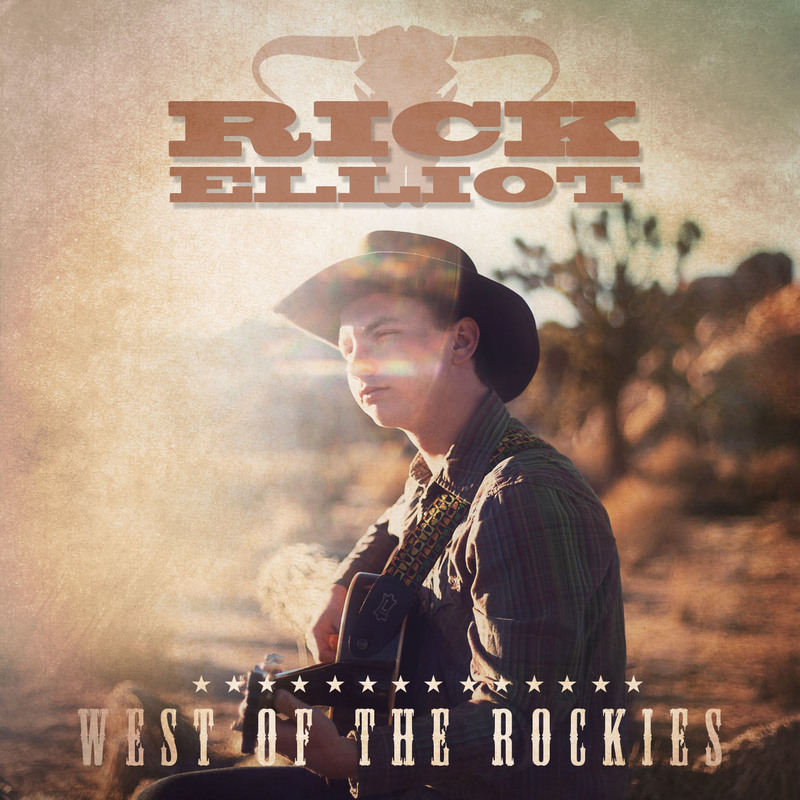 Take a shot of Jack and saddle up for the ride of the country crusader, Rick Elliot starting with “West of the Rockies.” The single is now available on iTunes. Track the journey of Rick Elliot at Facebook.com/RickElliotMusic.